Dennie Royce Darnell (1943 - 2015) . Dennie Royce Darnell, PA-C, 72, left for his final flight Saturday, Oct. 31, 2015. RIP Job Well Done ! 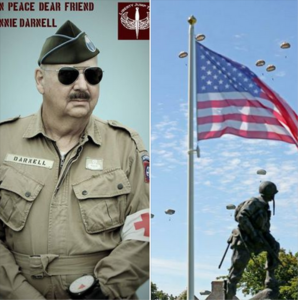 On Saturday Oct 31,2015 a light went out in the world with the passing of our dear friend and teammate, Cpt Dennie Royce Darnell. Dennie was such a vital part of Liberty Jump Team as a FAA Master Rigger, Static /HALO/ HAHO-qualified jumpmaster, mentor and teacher of all things parachuting. His wealth of knowledge helped LJT to stay safe and well informed and this individual leaves us with a big hole in our team. He was everything parchute. He had an illustrious career as an Air Force Pararescue jumper and was a Vietnam Veteran. Dennie continued to rig for the Military even after retirement and played a very active part of the Texas State Guard. He was most proud of his last jump at Normandy, France, on the 70th anniversary of D-Day. Dennie’s life was one of service. On Wednesday, at 11:00 a.m. on September 26, 2012, in the Blue Room of the State Capitol, Mr. James “Jake” McNiece of Ponca City, OK was presented with the medal of Knight in the French Order of the Legion of Honor by Mr. Frédéric Bontems, Consul General of France, based in Houston. Among the dignitaries attending the ceremony will be Oklahoma Attorney General Scott Pruitt and representatives from the offices of Oklahoma’s State and Congressional Delegations. The public is invited and a reception will follow on the rotunda. The Legion of Honor is the most prestigious French national order. It was created in 1802 by Napoleon Bonaparte, who was then the First Consul of the First French Republic, and wanted to reward civilians and soldiers who had achieved great things in the service of France. A few years ago, France decided to follow a more active policy of awarding this medal to the American veterans of WWII. Mr. McNiece will receive this high honor in recognition of his heroic actions in the European Theater in World War II and, in particular, for his contribution to the liberation of France and for the cause of Freedom. As a member of the 101st Airborne, Jake made a total of four combat jumps, including his first into France early on the morning of June 6th. During the war he served as both a demolitions (sappers) platoon leader for the Headquarters Company of the 506th Parachute Infantry Regiment and later on in the war as a leader of a group of Pathfinders for the 101st Airborne Division. Upon entering the military, Jake McNiece volunteered for the U.S. Army paratrooper duty on September 1, 1942. 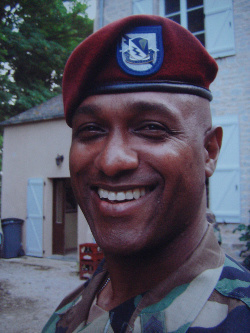 He was assigned to the 506th Paratroop Infantry Regiment (PIR) which was the first Paratrooper Regiment formed whose enlisted men were trained as paratroopers from their first day of basic training at Camp Toccoa, GA, which became known as Col. Sink’s "Muscle College." As a Demolition – Saboteur (Demo-Sabo), Jake was Sgt. of a stick of paratroopers known as ‘The Filthy Thirteen’. The film "The Dirty Dozen" is loosely based on Jake’s group of men and like their leader, these men were a well-trained and finely tuned group of soldiers. Mr. McNiece is the recipient of awards such as the World War II Victory Ribbon, Good Conduct Medal, American Theatre Ribbon, EAME Theatre Ribbon with 4 Bronze Stars and 2 Bronze Arrowheads, Presidential Unit Citation for Normandy, for Holland and 2 for Bastogne (1 for being a Pathfinder and one because he was part of 101st AB); Bronze Star Medal with 3 Oak Leaf Clusters, Combat Infantry Badge, Jump wings with 4 Bronze Stars, Army Of Occupation Medal, Cold War Victory Medal, Overseas Service Medal, 5 hash marks left sleeve, each hash mark signifies he served all or part of six months overseas, and the Army Service Ribbon. Jake McNiece is also entitled to wear the Airborne Pathfinder Insignia and of course the Purple Heart with Oak Leaf Cluster. I seek your indulgence in the impossible task that lies ahead of me this day, for here in this quiet place we celebrate the remarkable life of an uncommon man. Major General Jode R. Wilson was born March 5, 1925 to Jode and Leta Wilson in Cordell, OK. Jode married Peggy Lynn Taylor (his high school sweetheart) on December 16, 1945. To this union, 3 girls were born: Judy Lynn, Jane Susan, and JoDe Ann. 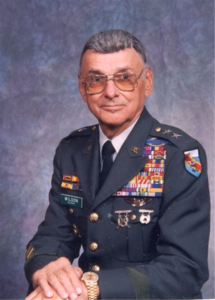 Major General Jode Wilson passed from this life on May 23, 2009. He is survived by his wife Peggy of 64 years, 3 daughters: Judy Froemming and husband Jerry of Justin, TX, Jane Draper and husband Robert of Hot Springs, AR, JoDe Ann Char and husband Dennis of Grapevine, TX, grandchildren: Jode Colbert Wells and husband Mike of Justin, TX and Taylor Wilson of Southlake, TX, who is attending the University of Oklahoma, great-grandson Rhett Wells, cousin Rosemary Spalding and husband Bob of Cordell, OK, along with their sons, Greg Spalding of Coppell, TX and Wes Spalding of Cordell, OK and cousin Bobbie Knie of Philadelphia, PA.
How do you celebrate Gen. Wilson’s life in just a few words? You don’t….for time has a way of eroding a man’s accomplishments, of turning his life — along with his body — to dust. His life will not be forgotten! He was a commanding, professional, dedicated, determined and courageous military officer. He was kind and he was extremely intelligent. He possessed a great ability to inspire others. He was a fresh and innovative thinker, he set the bar high and made no apologies for doing so. Though he had high expectations of others, he didn’t object to offering second chances to those that needed it. A young Jode Wilson joined the US Marine Corps in 1943 and was an anti aircraft gunner on the island of Okinawa. He served 21 months in combat and was honorably discharged in 1946. After his WWII service, Jode attended college at Southwestern Oklahoma State University in Weatherford and was the president of his Phi Kappa Alpha fraternity. In 1947, he joined the US Army as a member of the 45th Infantry Division of the Oklahoma National Guard. He attended the US Army Officers Candidate School and was commissioned as a 2nd Lt. in 1948. He spent several tours overseas including 39 months in Germany, 14 months of combat in Korea, 12 months of combat in Laos and 15 months of combat in Vietnam. He was awarded several medals for Valor in Combat including the Legion of Merit, Bronze Star, Purple Heart and Army Commendation Medal, along with numerous other foreign decorations for Valor. Executive Officer, Company Commander of 1st Armored Division, Company Commander of 728th MP BN, Special Advisor to Laotian Army, Special Forces Advisor in Vietnam, Provost Marshal of Ft. Jackson, SC, Battalion Commander in Vietnam & Professor of Military Science at Southwestern Oklahoma State University. In 1971, Gen. Wilson established the ROTC program at Southwestern, where he completed his US Army service. He retired as Colonel in 1977. After his US Army service, he became Flotilla Commander of the US Coast Guard in 1982, where he served until 1989, commanding the State of Oklahoma District. In 1991, Governor David Walters promoted then Colonel Wilson to the General Officer’s rank, and he was assigned Commanding General of the U.S. Army Reserves/Oklahoma Reserve Force, where he served until his death. Gen. Wilson consistently excelled at his many and varied tasks and garnered great respect from those in which he came into contact. I had the good fortune, like many other officers, to serve for several years in his long shadow. In his last few years of life, I would like to think that I became a close personal friend. During the time that I served under his command, I had to action many orders and requests that he made of me. But this one, his last request, I find the most difficult of all to carry out. Today, the last order was to present to Gen. Wilson’s grandson Taylor, the military file and shadowboxes containing his military history, awards and decorations. Taylor, today I task to you to pass your grandfather’s legacy down to future generations so that his accomplishments will never be forgotten. He had a great love for his family and a sincere consideration for those around him. Our hearts go out to Judy, Jane, JoDe Ann and the extended family at this very sad time. Gen. Wilson: I salute your inspirational leadership; your long and dedicated service to our nation; your unwavering friendship and your devotion to Peggy and to your family. There is a verse Holy Bible book of Ecclesiastes, which says "There is a time for everything under the heavens. A time to dance and a time to mourn, a time to be born and a time to die". Sadly it has been his time to die. We are left to mourn, but only for a little while, for he is now in the good hands of our Heavenly Father. General Wilson, you were a great American! MURPHY, Col. Robert M. "Bob" of South Dennins and Bonita Springs, Florida, formerly of Roslindale and Westwood, MA passed away peacefully Friday October 3rd, 2008 at Cape Code Hospital surrounded by his loving family. He was predeceased by his beloved wife of 35 years Barbara (Atwood) Murphy (2002), and his former beloved wife of 16 years Joanne "Murray" Murphy (1962). Bob was born on July 7, 1925, in Boston to Joeseph and Anna Murphy, brother to Stephen Murphy, and sister Virgina "Murphy" Healey, and predeceased by his brother Walter Murphy. Robert joined the United States Army October 1st, 1942, serving in World War II, with the 82nd Airborne in Italy, Holland, Africa, and Normandy, France. He received the Purple Heart (3), Valor (2), Bronze Star, Medal of Honor as well as the highest honor given in France, "The Legion of Honor". Bob Murphy was a proud member of the Ancient and Honorable Artillery Company of Boston, Mass. 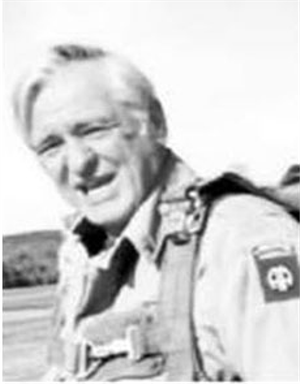 He is the author of the book "No Better Place to Die" depicting D-Day, June 6th, 1944 in Saint-Mere-Eglise, Normandy, France where Bob had returned to in the 60’s to continue skydiving with his veteran friends, as well as, the airborne divisions of France and Canada. 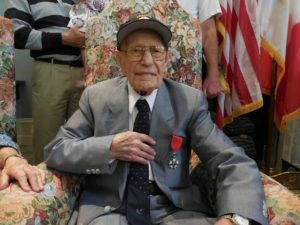 He celebrated and honored the events of D-Day his entire adult life keeping alive the memory and importance of this historical tiem for he and his brother in arms along with his adopted family of Normandy, France. Bob received his J.D at Suffolk U., Boston, 1950; post grad., Harvard U.,1969, Bob prcticed Law with the firm Murphy and Murphy in Boston; asst. atty. gen. Commonwealth of Mass. 1989-1991. Chmn Mass Parachute Comm., Boston and Orange, Mass., 1960-1963 CEO Nat.Check Protection Svc Inc 1994-1996 Col. USAR (Ret) Mem 82nd Airborne Division Assn (Pres) 1960-61,94, BD Dirs) 505 PIR Assn (Pres 1991-1992 through 2008) Roman Catholic Avocations, skydiving, travel, acient history. His legacy and his love for living life to its fullest will be remembered and carried on by all those who were lucky enough to have had him in their lives. He will always be a hero, a warrior, and a legend to his country, family and friends.The world is a better place for having Bob Murhphy in it. Geronimo! Honoring the memory of a great airborne soldier. He lived his daily life by the creed. He made the ultimate sacrifice for the creed. I volunteered as a parachutist, fully realizing the hazard of my chosen service and by my thoughts and action will always uphold the prestige, honor and high espirit-de-corps of parachute troops. I realize that a parachutist is not merely a soldier who arrives by parachute to fight, but is an elite shock trooper that his country expects him to march farther and faster, to fight harder, and to be more self-reliant than any other soldier. parachutist of all allied armies belong to this great brotherhood. I shall never fail my fellow comrades by shirking any duty or training, but will always keep myself mentally and physically fit and shoulder my full share of the task, whatever is may be. I shall always accor my superior fullest loyalty and I will always bear in mind the sacred trust I have in the lives of the men I will accompany into battle. I shall show other soldier by my military courtesy, neatness of dress and care of my weapons and equipment that I am a picked and well trained soldier. I shall endeavour always to reflect the high standard of training and moral of parachute troops. I shall respect the abilities of my enemies, I will fight fairly and with all my might surrender is not in my creed. I shall display a high degree of initiative and will fight on to my objective and mission, thougth I be the lone survivor. I shall aprove my ability as a fighting man against te enekmy on the field of battle, not by quarreling with my comradxes in arems or bragging about my deeds. I shall always realize that battles are won by an army fighting as a team, that I first and blaze the path into battle for others to follow and to carry the battle on. I belong to the finest unit in the world. Be my actions and deeds alone, I speak for my fighting ability. I will strive to uphold the honor and prestige of my outfit, making the country proud of me and of the unit to which I belong. Presented by the Military Order of the Purple Heart. Colonel Quinton P. Sunday joined the Oklahoma National Guard in 1933 at the age of thirteen. His commander’s knew his age but allowed him to stay because there were nine children at home, his mother had been widowed four years earlier and his family needed the money. For his service he and his two brothers brought home twenty-seven dollars every three months. By the time he attended the ‘Louisiana Maneuvers’ he was a Corporal in ‘M’ Company, 158th Infantry, Oklahoma National Guard and a machine gunner on a .30 caliber, water cooled machine gun. In 1941 the Oklahoma National Guard was activated and sent to Ft. Sill, Oklahoma for preparation to be deployed to WWII. While standing guard in a rain storm he was summoned by the Sergeant of the Guard and told he had one hour to gather his gear and report back to headquarters to get on a troop train headed for Fort Benning, Georgia and OCS. While at Ft. Benning he saw a movie with Buddy Ebson called “Parachute Battalion” and decided that was what he wanted to do. Since he was already at Ft. Benning he volunteered for Airborne training and got accepted. Upon graduation he was assigned to the newly formed 507th Parachute Infantry Regiment and deployed with the unit to Alliance, Nebraska where they underwent further training to prepare them for war. 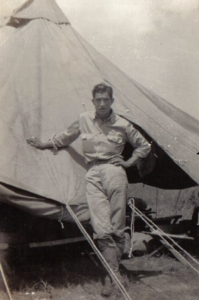 He then deployed to England with the 507th where he became a pathfinder for the regiment but while preparing for the D-Day jump was injured and didn’t get to make that jump. He returned to the unit just in time to get alerted to prepare to go to Bastogne and spent Christmas in a battle to help hold Bastogne. He made the ‘jump across the Rhine’, as he called it, into Germany during Operation Varsity and was assigned an area in Essen to control. When the war was over he was returned home and mustered out at Ft. Devens, Mass. He tried civilian life but was among the first volunteers when Korea erupted and then remained in the Army, serving with the 11th Airborne Division, 187th Airborne Regimental Combat Team, 508th ARCT, 101st Airborne Division, and 10th Special Forces until his death in 1969. 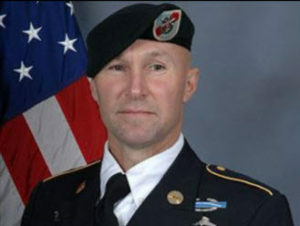 He died of a heart attack while making a jump with the Special Forces in Indiana.